Despite the frustratingly slow deployment of superfast broadband to bring us fully into the 21st Century the UK does benefit from a wide variety of broadband services with a vast mix of packages to suit most budgets, a far better situation than many other parts of the world. But that is far from consistent across the nation. Many towns and cities enjoy the option of multiple providers using different technologies with an extensive choice in speed and pricing, while other areas still have a very limited selection. And then there are some lucky people enjoying incredible 1Gb fibre optic broadband. All these potential options, from the very fastest broadband to basic ADSL, mean some research is required when selecting a provider to ensure you get the best deal on the right service. This is especially important when moving to a new area as there’s no guarantee that you can receive the same speeds or even continue to use the same supplier. How do I check broadband in my area? Finding out what’s available in your area is straightforward thanks to some handy online resources, Broadband Genie included of course! If you visit our home broadband section, or any of our other pages containing a home broadband comparison table, you’ll notice a field at the top of the table where you can enter your postcode. This filters the results based on availability at your nearest exchange so you should only see deals for providers that offer service to your postcode. That’s a quick way to get an overview of what kind of broadband is on offer, but sometimes you may find that your address is not actually covered despite the provider being in the area. This is particularly common with cable broadband where coverage could extend to a nearby street, or even some of your neighbours, yet not reach your home. For more detail about exactly what is available to your village, town or city you’ll want to pay a visit to SamKnows.com. Using their Broadband Checker tool and entering a phone number will reveal what’s on offer to your home, while you can also utilise the exchange mapping to view a breakdown of services from fibre optic and cable broadband to types of ADSL and specific LLU providers (which will indicate if you’re able to get the best packages from the likes of Sky and TalkTalk). This again can vary from house to house, but is very useful if you’re moving to a new area and, like many others these days, taking broadband suppliers into consideration. What’s available in your town? 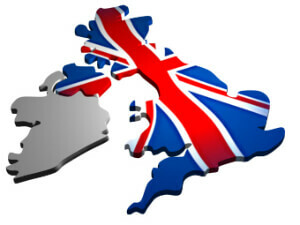 Broadband Genie has produced a series of guides for specific locations throughout the UK. While we can’t cover every place in the country our series does include many of the most populated towns and cities so it will be applicable to a good proportion of you. If your home isn’t in the list below you can still use our other tools to locate your perfect broadband package. As mentioned above the postcode search in our comparison tables is a good starting point, and you may also want to read the information contained within our home broadband guides. In particular: the different types of home broadband, how to compare broadband and our guide to switching broadband providers.